Are you overweight and thinning? Apply the soup diet! What is the soup diet? Under the term soup diet you will find on the Internet many different varieties of this slimming diet. Be careful, some articles that recommend soups, as a way of slimming, in fact offer semi-fastings. One of them is the cabbage diet (it is based on cabbage soup) or diets, whose menus are based only on vegetable soups, without other additives. How to modify a soup diet to make it healthier? Soup is an unusual dish that gives you an infinite number of possible combinations of flavors. Depending on what ingredients it forms, it can act as a full-blown dinner, light dinner or snack during the day. Soup for breakfast? Why not? Such an idea will be especially effective during autumn and winter, when it is cold and unpleasant in the morning. How to cook wholesome soups? On the soup diet, the whole menu can be built only on the basis of soups. Do not add cream to them, do not use broths on the bones. Before adding to the pan, the vegetables can be fried on a small amount of olive oil or rapeseed oil. 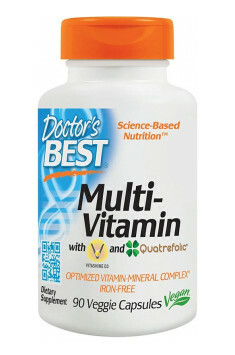 The addition of fat increases the absorption of certain vitamins. See how to divide soups depending on the ingredients and their destination. The most concise and filling, should contain carbohydrate and protein supplement. It is less content than the lunch soup, but it should provide you with a fullness for a minimum of 2-3 hours. Thick vegetable creams are good for this role. Only in the case of snacks you can eat pure vegetable soup on vegetable broth. The great advantage of the method we recommend for slimming is to obtain, with no effort, a negative energy balance – you eat less calories (kcal) than you need. This is because soups quickly fill up, and at the same time are low calorie, rich in dietary fiber, vitamins, antioxidants and minerals. You will be thinning about 1 kilogram per week. After 2 months you can be even lighter by 8-12 kg. You do not have to eat only soups for days. If you want to rest from them you can replace breakfast or dinner with a fixed meal. See what a menu should look like on a soup diet.